The mystery for anyone who knows my reading preferences is why I didn't choose one of the many excellent fiction mysteries I've yet to read that are likely to have satisfying endings over A Far, Far Better Thing. I've confessed many times in this blog that unhappy endings tend to bum me out. And, having spent a career in the newspaper business writing many stories that left me and my readers hanging, unsatisfied, because it was my job to report what happened, not what I would have liked to happen, I should have known better than to read an entire book that I strongly suspected would in this very way bum me out. And it did. And I'm pissed. I'm pissed because a man falsely convicted of murdering his girlfriend's parents has spent thirty-two years locked in cages in Virginia's prison system despite overwhelming evidence he didn't do it. I'm pissed that Virginia has the strictest rule in the United States against allowing for new trials to be granted on new evidence of innocence. No such evidence is acceptable beyond twenty-one days from sentencing. I'm pissed that this man likely will die behind bars because Virginia's governors—Democrat and Republican--are too chickenhearted to set him free. In 2010 then-Gov. Tim Kaine reluctantly agreed to release him to Germany, where the prisoner is a citizen and where, in an agreement with Kaine, he would have served out his sentence in a couple of years, but Kaine was a lame duck, and his Republican successor, Bob McDonnell, revoked Kaine's decision on his first day in office. All subsequent Virginia governors have turned their backs on the prisoner. "In early April 1985, in their cozy retirement cottage set back from a winding rural road, a prominent local couple were found brutally murdered in a style reminiscent of the notorious Charles Manson cult slayings in California years before." I have my own confession to make before I get to the amazingly naïve confession the eighteen-year-old Jens Soering made to save his girlfriend "from the electric chair" after she admitted to him she'd murdered her parents. My confession is that before I read A Far, Far Better Thing I didn't really give a hoot nor holler which of these brilliant, rich, scholarship students at the University of Virginia killed the parents. It didn't matter to me personally at all. What aroused my interest was that Bill Sizemore had looked into it. Sizemore and I were colleagues on the long defunct Newport News Times-Herald. We've been out of touch for decades, yet I respect no journalist anywhere one whit more than I do Bill Sizemore. Our editor back then kept the old newsroom adage taped to her office door, "If your mother says she loves you, check it out." Unlike many many reporters, I fear (including myself), who, facing a brutal deadline cut the occasional factual corner, I'd bet my pension Bill has never met a corner he didn't check, double check, and then check once again. If he says Jens Soering did not murder his girlfriend's parents...well, he doesn't. That wasn't his job. Here's what he does say: "Over my four decades as a journalist, I came to believe that sometimes the criminal justice system seems more about winning and losing than about finding the truth. This book is an attempt to get at the truth about this case. "In the end you, the reader, will be the judge." I'll add this comment of my own—strictly opinion, mind you: This book does indeed get to the truth about a terrible, shameful miscarriage of justice. I harbor not the slightest conceit that anything I say here can begin to persuade you to the same conclusion I reached after reading A Far, Far Better Thing. The best I can hope is to rouse your curiosity enough that you will read it yourself. And if this report succeeds in that aim, and you are of an especially skeptical mind, I would suggest that you start at the book’s second half, and read the results of Bill Sizemore’s exhaustive investigation first. Based on court records and personal interviews with key participants in the police investigation, trial and appeals, Sizemore has proven to my skeptical mind that Jens Soering’s trial was a shambles. 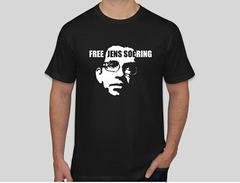 There was withheld evidence, judicial misconduct, and abominable legal representation by Soering’s lead defense attorney, who subsequently was disbarred. Overlaying all of this mess were the political implications of privilege—a small, rural community’s desire to protect the reputation of one of its top-tier families, and the legal community’s reluctance to further embarrass prominent members who so badly botched an internationally high-profile, highly publicized capital murder case. And, of course, Virginia’s insane twenty-one day cutoff rule prohibiting even new DNA evidence that proves a male other than Soering likely participated in the murders, and might still be at large. The book’s first half, written by Soering, is well worth the read as well. He’s written six books and translated three others during his thirty years in Virginia’s prisons. Having won one of twelve national Jefferson Scholarships fresh out of high school, his brilliance shines through his account of falling hopelessly in what he considered “love” with Elizabeth Haysom when they met during freshman orientation at the University of Virginia in Charlottesville. He takes us along on this whirlwind romance, which led to his agreeing to admit to the murders of her parents when she confessed to him she’d killed them while he waited for her in Washington D.C. She’d gone into a rage, she told him, because her mother had sexually abused her for years. Soering agreed to take the blame to save her from the electric chair, he tells us, thinking that as a German citizen he’d be tried in Germany, which had no death penalty. Police initially were reluctant to focus on Elizabeth as a suspect because of pressure from the family’s lawyers, Soering says. The lovers eventually were caught in London after fleeing to Europe, where they survived on bad checks, which led to their capture. After their arrests, and Soering “confessed” to capital murder, Elizabeth wrote that she no longer loved him. He later learned she laughingly called him naïve and “the kid” in letters she’d written to other men she’d been sleeping with at the time.